Renowned evangelical theologian Gerald Bray provides a clear and coherent account of the church in biblical, historical, and theological perspective. He tells the story of the church in its many manifestations through time, starting with its appearance in the New Testament, moving through centuries of persecution and triumph, and discussing how and why the ancient church broke up at the Reformation. Along the way, Bray looks at the four classic marks of the church--its oneness, holiness, catholicity, and apostolicity--and illustrates how each of these marks has been understood by different Christian traditions. The book concludes with a look at the ecumenical climate of today and suggests ways that the four characteristics of the church can and should be manifested in our present global context. 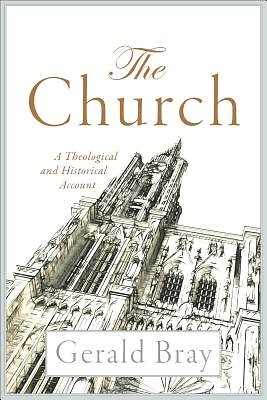 This accessible introduction to the church from an evangelical perspective explores ecclesiology through the lenses of church history and doctrine to reveal what it means for us today. Bray discusses the church as a living reality, offering practical ways churches and individuals can cooperate and live together.